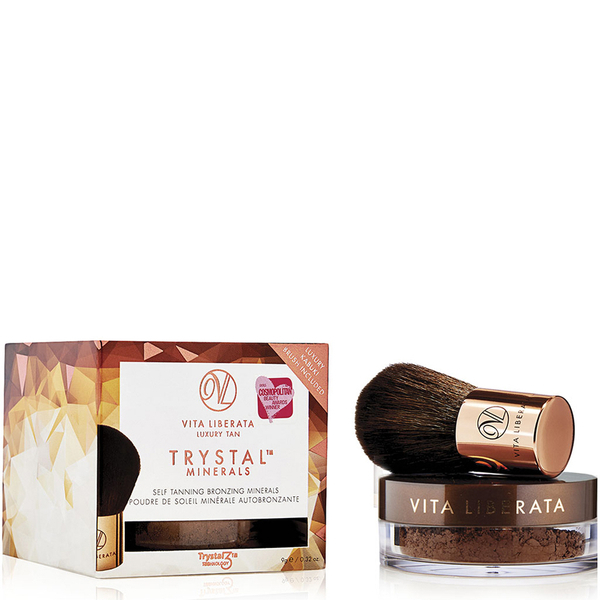 Trystal Minerals Self Tan Bronzing Minerals from Vita Liberata provide a sheer, natural glow.The oil-free, non-toxic formula contains Trystal3™ Technology and micronised crystals for instant coverage and additional DHA for a long-lasting results. The unique, lightweight powder is suitable for all skin types, to leave you feeling silky smooth with a healthy radiance. Vita Liberata use certified organic ingredients to create a tanning experience that conditions and nourishes the skin, with Moisture Locking properties to hydrate skin. E.N. Directions for use: Apply over moisturiser or liquid foundation. Blend the mineral powder onto the face, neck and décolleté in circular movements. Use more around the cheekbones to achieve a contouring effect.